As my palate has evolved, I've begun to crave rye in beers more and more. Something to do with the spiciness is really striking a chord with me at the moment. 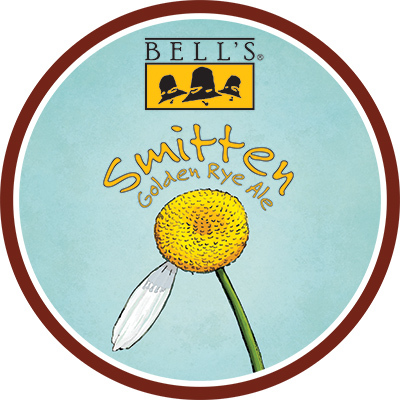 Accordingly Bell's Smitten Golden Rye Ale stood out on the shelf, not just because of it's brightly coloured label but because it could also sate my rye cravings. The beer poured a deep orange, almost amber colour. Atop this body of liquid was quite a large, fluffy, off white head that became very aerated quickly. It eventually settled to about a finger of foam which remained throughout the duration of drinking. The pour surprised me a bit as the name indicates a golden colour, this is far darker than that - but still an appealing looking beer. Onto the nose and you're immediately aware that this beer has rye in it, although it is not as prominent as I'd hoped it would be. There is also some nice citrus, mostly lemon zest, as well as some grassy elements from the hops. Contrary to the impression the nose gave, there is actually plenty of rye in this beer. 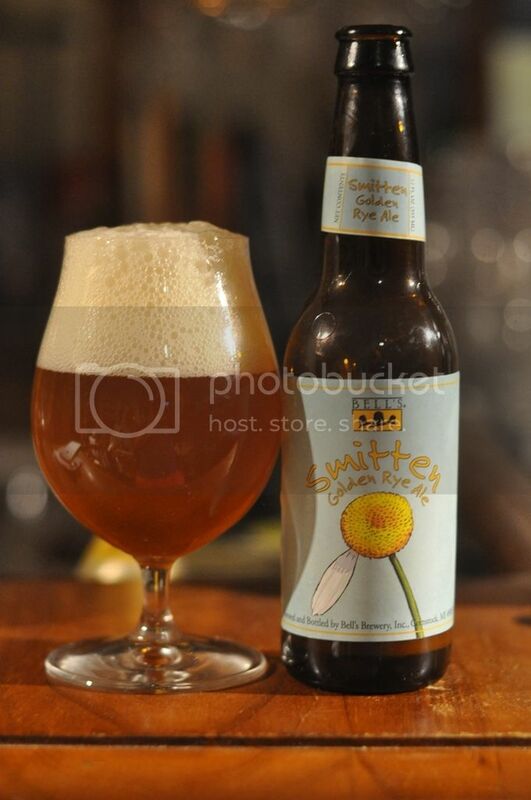 The peppery spiciness of the rye combines beautifully with the citrus from the hops. There's also some floral and earthy notes that come through. The beer is lovely and crisp and one that I think could be incredibly sessionable. Bell's Smitten Golden Rye Ale is a beer that I really enjoyed. I found it odd to think that a rye beer would be sessionable, normally I would've thought the slightly sweeter grain could become a bit cloying over time/the spiciness would become a bit much. Neither of these are the case in this beer, with the oiliness and citrus flavours from the hops helping to cut through any over the top sweetness or spiciness. I would highly recommend this beer if you are looking to get into beers brewed with rye or if you've never had one before.